The Waterhouse01263 715779work01603 870304fax Self-cateringThe Waterhouse is a recently converted former outhouse, that has been completely transformed into a delightful holiday lodge for two people. Luxuries: Flat screen TV with Free Sat, DVD player, WiFi. Outdoors: Fourteen acres of garden/parkland, large pond and a decked area with garden furniture. Access: Parking for one car directly outside the lodge, further parking available on site. 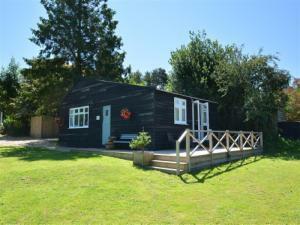 The Waterhouse is a recently converted former outhouse, that has been completely transformed into a delightful holiday lodge for two people.